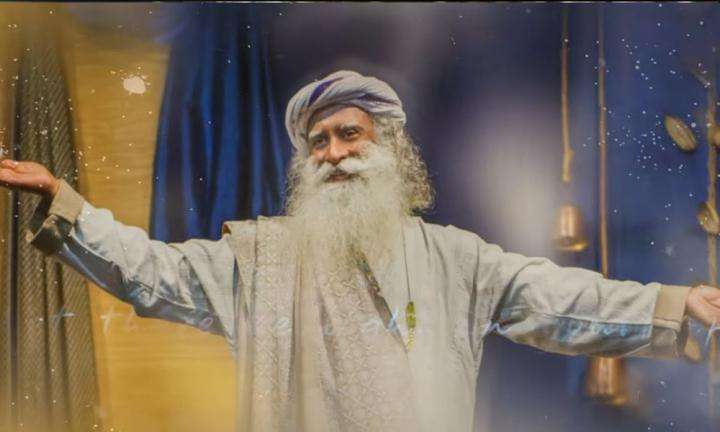 More than a set of physical postures or exercises, Sadhguru defines yoga as a science to determine the nature of who you are and what you want to be. The word yoga means literally means "union" or "to merge". 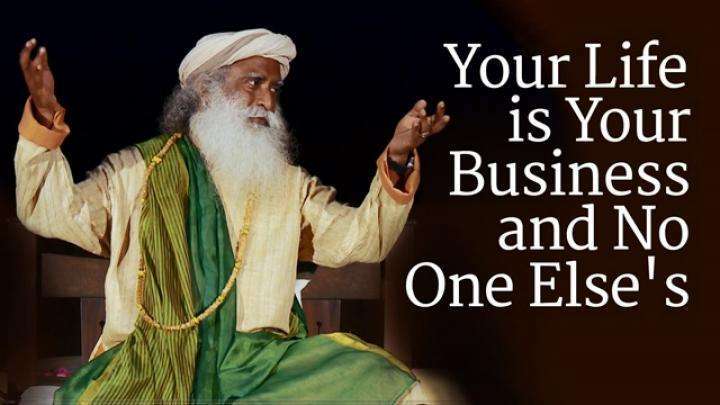 More than a set of physical postures or exercises, Sadhguru defines yoga as a science to determine the nature of who you are and what you want to be. Yoga fundamentally looks at how to make a person flexible on all levels – whether it be on the level of the body, mind, emotions or energy. The important thing is that this flexibility should come to every aspect of your life. So you set yourself into the process of yoga because you don’t want to be this kind or that kind – that you will be the kind that you're required to be in a particular moment. If it’s morning, you’re a morning person. If it’s evening you’re a evening person. If you’re not required to be a person, you’re not a person. That is, you become flexible. This flexibility we start working with your body to start with; afterwards it should come to every aspect of your life. Your physical structure, your psychological structure, your emotional structure, your karmic structure, everything should become flexible, that it can be whatever it is required to be, it is not stuck being this way or that way. So, yoga as a process, yoga as a method, yoga as a technology, yoga as a science is essentially to break the limitations of a certain concretization that happens, which we call as personality - to evolve from being a person to a presence. If you’re a person that means you have made a shell out of yourself. You formed a shell – within that shell only you can operate. If you break the shell, you will no more be a person but simply a presence, as life is, as God is, just a presence. If it can be encased in a shell, it becomes a person. So yoga means slowly you’re working on making this shell thinner and thinner, more and more porous, that one day you can exist without a shell. So essentially in your experience, yoga means morning… Why the sadhana the way it is, is… All aspects of physicality are cyclical in the universe. Planets are going around the sun, the solar system are moving, everything in the galaxy in the cosmos is cyclical. The more and more you’re identified with your physical system, the more and more cyclical you are also. Your experiences are cyclical; the process of life is cyclical. If you watch carefully enough, even the situations that you face in your life come in cycles. So yoga means, on one level to break the cycle of life. What is a circle right now, we want to open it up and make it a straight line. Because if you are going in circles, if I say you’re going in circles what does it mean to you? You’re not going anywhere. It just gives you an impression that you’re going somewhere but you’re not really going anywhere, you’re going through the same thing again and again. So yoga means to open up the circle and stretch it out like a straight line, that if you follow the line you go somewhere, you’re not going round and round. Many of you may have already experimented and noticed… If you have not, do not experiment because I’ll give you the results of the experience… experiment right now. You might have been doing sadhana for two years, three years, five years. Stop your sadhana for three months, suddenly you will see so many compulsions that you never imagined were a part of you, which were long time gone, suddenly they will all become a part of you. Like a simple thing in the ashram But those who are doing their sadhana properly, they eat in the morning, they don’t think of food till evening; it doesn’t occur because it’s no more a compulsion. If you eat, it’s consciously you eat; otherwise no. You stop your sadhana for three months and see; your hands will just grab just about anything and put it in the mouth. These compulsions will suddenly come back if you just break the sadhana, because nature is not going to release you so simply. You have to work at it and work at it and work at it; otherwise you must be happy doing the circle. A circle also can be described as a circus. If you become conscious, the whole thing looks like a circus. If you are not conscious, you can only see three feet in front of you, then it’s all real. If you can see the whole circle of your life, suddenly it becomes like a circus. Once you realize this circus, you don’t want to go through this circus again and again. Only if your vision is too limited, you can see only three feet in front of you, everything is real for you. If you open up and see the whole circle the way you’re going, it looks like a circus and definitely you don’t want it to continue forever, you want to do something about it. So these cycles, these repetitive cycles of compulsiveness is coming because there are various types of memories in the system. Memories, karmic memories… Information essentially means memory, isn’t it? Do you understand what I’m saying? Tch… Any information means memory, isn’t it? How do you carry information? Only by memory, there is no other way. Either in your head or in a chip or in a computer, it doesn’t matter, you can carry information only by memory, there is no other way any information can stay anywhere. So there’s a huge volume of memory, karmic memory, genetic memory, mental and psychological memory, every kind. If this memory was not there, your body wouldn’t even take a form. Your body knows that it has to take this form. When you were in your mother’s womb, so many billions of people on the planet, everybody took this form, two legs, two hands, two eyes, like this. If the memory was not there, we do not know what form it would have taken. It never ever happened that a woman delivered an elephant or an insect or something else; it never ever happened, because there is memory. If the memory is not there, this could have taken on any form. So you have retained your physical form the way it is only because of memory. Memory means past. Yes? Memory means always that which is past. If memory is the only thing, if information that you carry, which is memory, is the only thing which determines the nature of who you are right now, that means you are past or life is past you. There is no real life; it’s just a play of memory. If you go and watch a cinema (In Tamil: What? Rajini Kanth? (Referring to a famous Tamil Actor)) if the cinema happens it’s so big and so real, more real than the real, it becomes a bigger reality than reality because it’s so exaggerated. But all this is just memory being played out. It’s recorded in a film or a digital format or whichever way, it’s just memory, it’s already over. 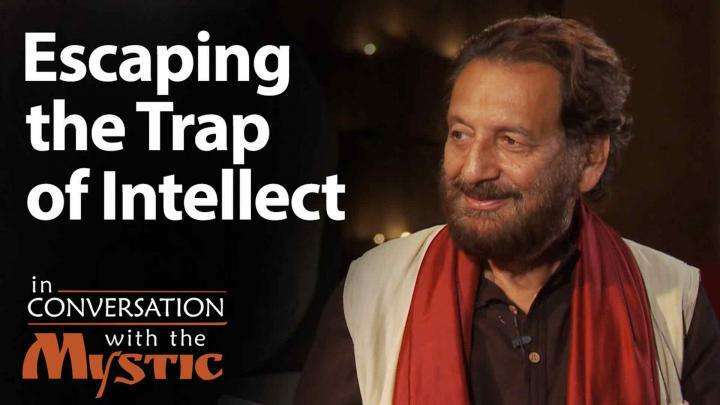 Sadhguru explains that the nature of the intellect is like a trap that one builds for himself, and then longs to escape.